The Admin Center allows site webmasters to monitor all district websites. Click on Admin Center link from the Toolbox Section. Select a website and click Login to Site - this will route you to the site admin page where you can configure the site settings. Review the Status - the current status is displayed in the status column. 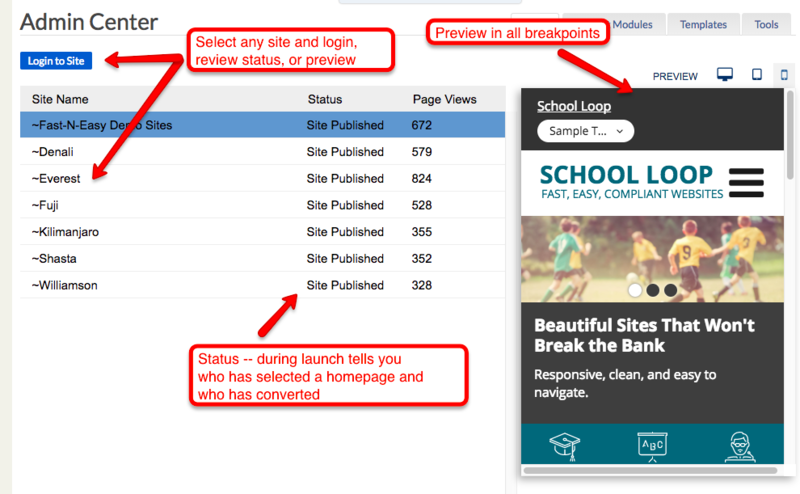 Preview the site in all breakpoints. The list of district websites is displayed in the Admin Center page.